Bengal Movers is a privately held one of the best residential and corporate moving services provider Company with its headquarters in Dhaka, Bangladesh. This professional packers and movers company of Bangladesh serves customers from six divisions in Bangladesh. Though we are best removal company of Bangladesh, we are Providing government moving services, corporate relocation services and household shifting services. We also provide International relocation services worldwide by air or by ship or by road. Bengal Movers and Packers also provides transportation services and storage services of household goods and office effects, cleaning service, air conditioner services, high value warehousing and third party logistics. In order to drive quality up and costs down the packers and movers company is committed to develop and implement the most effective technology. 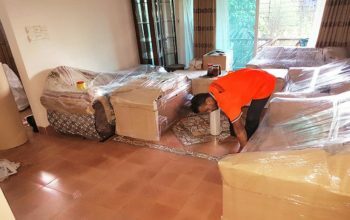 This professional relocation company provides a uniquely tailored packing and shifting services of your home or office to meet the needs of even the most demanding customer. By doing this Bengal Packers and Movers continues to design innovative removal services that support client’s needs. In this way we can earn trust and becomes the best moving company of Dhaka Bangladesh. When you are moving your precious possessions anywhere. It pays to use the services of a professional packers and movers company who values your house or office and your possessions as highly as you do. If you choose Bengal Packers & Movers as your moving services provider company you can be confident that you have the back up of the latest technology and highly trained staff. Though We are leading house and office moving company in Bangladesh, delivering world-class removal and storage solutions at highly competitive prices. Our mission is to ensure world-standard storage, shipping, packing and shifting service solutions by offering our clients smooth relocation. Devotion, fidelity and responsibility is the main base of our business accession. 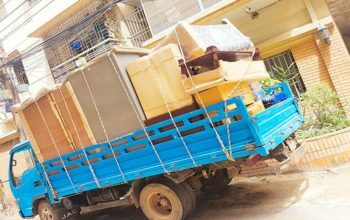 This removal company of Bangladesh always focus to keep commitment to to clients, agents, partners and associates, and to keep the company and ourselves within the law. We also commit to never engage in any evil, unfair activity that would slender the moving company’s dedication and reputation in any manner. Our goal is to ensure best packing and shifting services at their end. Company’s vision is to work successfully in longer terms to satisfy our clients. We create updated strategies to stand over the needs and demands of our clients and make them happy. Our strength lies in our workers and staffs. We have professionally developed workers and staffs who are dedicated to their job. Every member of movers team is professional and compliant in his field. We have our own transportation vehicles like tempos, trucks, trailers, etc for the transit of your valuable goods and belongings. We have also our own spacious, safe and secure warehouses and storage spaces. For Industrial relocation or Commercial relocation or Residential relocation services we have well infrastructure in all over Bangladesh. Though elusive, yet quality can be clearly felt by our customers in every business operation. A separate team of quality auditors has been appointed to keep an eye on the implementation, through quality policies. They ensure that all authentic credentials are prepared to ensure trouble free transportation of the consignment. Company’s quality auditors also study the transportation environment and the technical aspects. So that our quality standards are augmented and our customers are treated in a better way. Our services are also in compliance with Custom Tariff, Act & Procedures. Our customers have shown belief in our business processes and given us unbelievable response. Owing to our efforts, we are growing every day in terms of quality and customer base. We understand that a single delay from our end may result in hefty losses to the customers. Hence, we take meticulous steps to ensure time bound delivery of consignments. The excellent network of offices and agents comprises professionals who cater to every requirement of the customers. We work 365 days 24/7 and provide authentic documents for the services we offer. Owing to our rich network, custom clearance is also tainted with ease. Bengal Movers and Packers is one of the most trustworthy packing and shifting company in Bangladesh. Combining with professionals, experience, expertise and dedication Bengal Movers makes its place at the top of the list. By providing quality services to our customers Bengal Movers become most popular Packers and Movers Company in Dhaka Bangladesh. We have professionally developed general labors, technicians and staffs who are dedicated to their job. Every single member of our team is professional and compliant in his field What has been creating US the most-preferred selection of thousands We meet our customers’ demands for a private and skilled service by giving innovative supply-chain solutions by road transportation, air, water also as certain specialist services to decrease freight management inefficiencies and to provide most arduous and soft savings.